BioShock Infinite, after two years of hype, excitement, delays, and cancellations, is just two months away from release. 2K Games is wasting no opportunity to transform Irrational Games’ series from a moderate success and critical darling into one of the best-selling franchises in the contemporary gaming landscape. To that end it’s giving the first two BioShock games a budget release this month to try and get people up to speed in time for Infinite’s spring release. BioShock: Ultimate Rapture Edition was announced on Friday morning as a $30 package for Xbox 360 and PlayStation 3. The set includes both BioShock and BipShock 2 as well as all of the downloadable content for both games. That includes multiplayer content like Rapture Metro for BioShock 2 as well as the single player expansion for that game, Minerva’s Den. Other content like the Challenge Rooms added to the PlayStation 3 edition of the original BioShock will jump to Xbox 360 for the first time. Another bonus aimed at completionists and fans is the Museum of Orphaned Concepts, a sort of virtual gallery in rapture that lets people look at the art and creation of the series. Hard as it may be to believe, BioShock has isn’t amongst 2K Games biggest sellers. 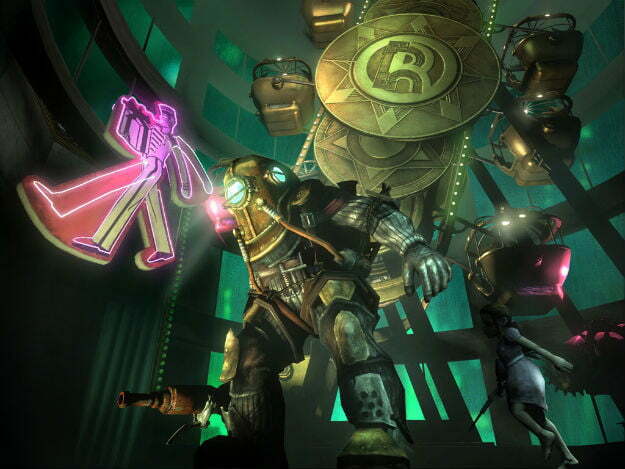 As of September 2011, four years after the first BioShock’s release and more than 18 months after the release of BioShock 2, the series had only sold a total of 9 million copies. That’s more than enough to justify the continued development of the series, but it doesn’t place it in the league of 2K Games more biggest series like Grand Theft Auto or NBA 2K. It also appears that the BioShock games rely on early sales success, as the series stood at 7 million copies sold in March 2010. The BioShock games have performed well as downloadable PC titles, though. As of this writing, the 2K Games Desert to Sea PC bundle that packages both BioShock games as well as Spec Ops: The Line together is the 28th best seller on Amazon.com. For players with capable machines, this actually represents a marked value over the Ultimate Rapture Edition. It’s just $10 as opposed to $30.